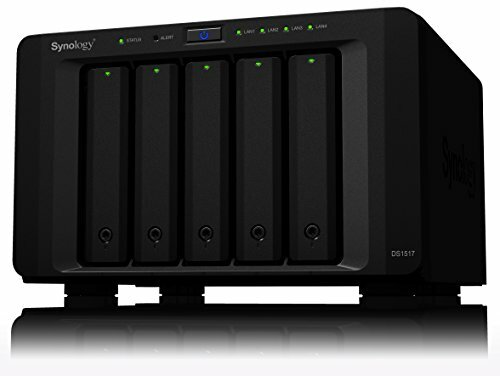 Synology Disk Station DS1517 comes with a quad-core CPU, hardware encryption engine, four built-in Gigabit LAN ports, and is scalable up to 15 drives, providing a cost-effective storage solution for growing businesses. DS1517 is ideal for centralizing data backups, protecting critical assets, and sharing files across different platforms. Synology DS1517 is backed by Synology's 3-year limited warranty.